Mike is an aviation maintenance technician, working at Hartsfield Jackson in Atlanta. He lives with his very supportive wife and three telescopes. 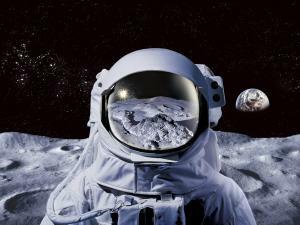 He enjoys visual observing and is trying to break into astrophotography.Mike attributes his interest in astronomy to growing up during the Apollo era. These experiences captured his attention enough that he purchased of a telescope, so he could view some of the wonders of the night sky first hand. However, viewing through the scope was short lived and after a couple of years the RV6 telescope saw little use. Life had gotten in the way with the usual things like college, military service, career and family. That was until about five years ago when Mike dusted off his old telescope. 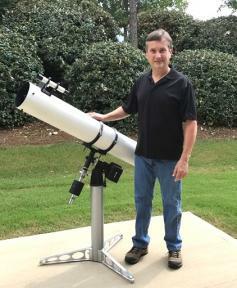 With a renewed interest in astronomy and looking for a way to grow and share his interest, Mike joined the Atlanta Astronomy club. Then after a move to east Georgia about two years ago he joined Charlie Elliott Astronomy. Charlie Elliott Astronomy was a good fit, being an active club engaged in both astronomy outreach to the general public and encouraging the personal growth of its members through monthly speaker programs and workshops. Steve is a Software Developer and has lived in the Atlanta area since 2004. Steve and his wife have three sons. Steve’s first experiences with astronomy were observing the Moon, Saturn, and Jupiter as a child through a small refractor he received from Ranger Rick Magazine. Steve enjoys multiple aspects of the hobby including repairing stray telescopes, astrophotography, sissy night time observing, and solar astronomy. Steve has been a member of the club since 2010 and has served in multiple roles including Director and Program Coordinator, and is looking forward to his new role as Observing Supervisor. Mike Mardis is our new Recording Secretary. Mike is married with four kids. He is a retired Captain from the United States Air Force and is also a recently retired Architecture Consultant from IBM. Like so many of us, Mike was drawn into astronomy by Carl Sagan’s original Cosmos TV series back in the early 1980’s. Mike got his first telescope, a Meade DS10a newtonian reflector, in 1987 to do deep sky observing with the San Antonio Astronomical Association. 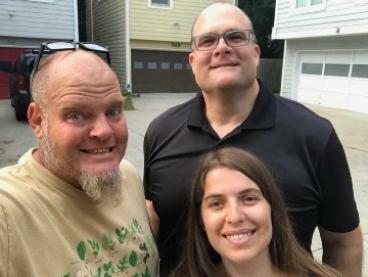 After military retirement Mike moved his family to Atlanta to begin a civilian career. 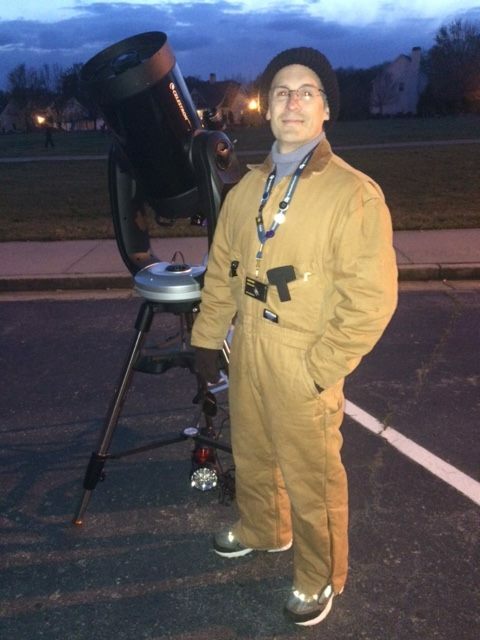 Mike joined Charlie Elliott Astronomy in September of 2016. Bitten by the astrophotography bug and supported by the mentoring of many Charlie Elliott imagers, Mike began accumulating the necessary equipment (Williams Optics GTF81 refractor, CGEM DX, and Canon 5D MkII). Mike put it all together and took his first image of Messier 101 in May of 2017. He’s still advancing his knowledge and loves to share his experiences with anyone who will listen. Don’t be afraid to bend his ear with your own stories! The Outreach Coordinator handles requests we get (which we are obligated to accept) for programs on Jon Wood Field for groups using the CE Conference Center. A good example is the Becoming an Outdoors Woman programs, which are frequently held at CE, for which we provide evening star parties. The Program Coordinator will identify and schedule guest speakers and will help promote chapter programs. If you would like to present or have an idea for a presentation, contact Kevin Snedden at program@ceastronomy.org. The Hospitality Coordinator assists with setting up the regular meeting room, cleaning up the room after our meetings, and coordinating our quarterly potlucks. The Hospitality Coordinator is also tasked with greeting members and guests and promoting a welcoming culture at regular meetings. The Astrophotography Coordinator promotes astrophotography and acts as a resource for advice and guidance to new and experienced astrophotographers. The Astrophotography Coordinator will, at his or her discretion, give a short presentation at the monthly meeting to suggest imaging targets for members and guests of all levels of expertise and how to produce the best results. A number of our members are working on AL Observing Programs. Indeed, several of them have completed seven or eight programs in the last couple of years, and are closing in on the coveted Master Observer Award! The Liaison receives program logs and checks them over, and then sends them along to the AL Coordinator for “official” review. This involves checking on our Jon Wood Field facilities on a regular basis to make sure everything is in working order. In addition, this person will inventory and keep track of the club’s several scopes – those stored at the Jon Wood Field as well as those “on loan” to club members.